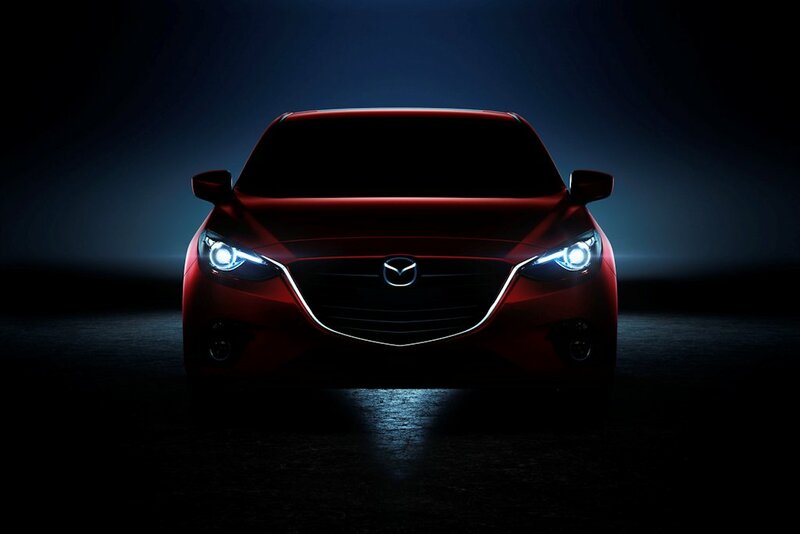 In an exclusive interview with Nikkei, Mazda is moving forward with the development of its next-generation of powertrains which will debut with the 2018 Mazda3 (Axela in Japan). The Hiroshima-based carmaker is targeting a 30 percent increase in fuel efficiency over the current Skyactiv thanks to an innovative new engine technology. The second-generation Skyactiv engine is said to do away with spark plugs and will rely on Homogeneous Charge Compression Ignition or HCCI technology. HCCI combines characteristics of conventional gasoline and diesel engines. Like a typical gasoline engine, HCCI injects fuel during the intake stroke (typical diesels do it during the compression stroke), but rather than using an electric discharge or spark to ignite a portion of the mixture, HCCI raises density and temperature by compression until the entire mix reacts spontaneously. HCCI produces gasoline engine-like emissions with diesel engine-like efficiency. It also produces extremely low levels of nitrogen oxide emissions without the need of a catalytic converter. According to company estimates, the introduction of Skyactiv-II in the all-new Mazda3 (the model’s first model change after five years) will boost its mileage toward 30 km/L—matching those of gasoline-electric hybrids. After that, Mazda plans to gradually incorporate it to other models. If proven successful, Mazda will be the first automaker to mass-produce engines with HCCI beating the likes of Hyundai, General Motors, and Daimler. In the same report, Mazda also plans to beef up their hybrid and EV powertrains. They will have their first mass-produced electric vehicle by 2019 and plug-in hybrids by 2021. Mazda is first targeting the US and European markets followed by developing nations by 2030 at the latest. Wow as in wow! By that, maybe Mazda can do away with the istop & ieloop to lower down the cost & to avoid those costly deep cycle bettery replacements. Then make the interior more spacious. Where did this company come from? Mazda is surprising everyone with its practical real world innovations. Just a decade ago Mazda seemed consigned to obscurity. They're a small company, so they must do everything they can to have a major competitive advantage over the competition. But where the hell did they get the money for R&D? I guess the employees, engineers, etc love the company and the brand, people who are passionate about the brand's "Driving matters", whereas the competitors' staff only come to work for their paycheck and have no passion. Another thing is that they have a efficient allocation of funds. I just bought a the facelifted 2017 Mazda 3 and there will be a new one in 2018 already? Damn, they're fast. Likely end 2018 as a 2019 model. Don't be surprised if the new engine makes its debut at the Tokyo Motor Show this year though. Mazda is more than stepping up. It's living up to expectations and promises. I think they will not require premium fuel as observed from the current Mazda vehicles. Electric vehicles are great, but let's admit that they will be mainstream maybe around fifty years from now. Tesla isn't even mainstream in the US, while the Prius is too expensive to be bought locally. How they're going to do it without high octane fuel, I'd like to know. Sounds like a recipe for engine knock, but hey - compliance rarely leads to innovation yes? Zoom-zoom Mazda!